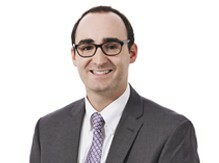 Nolan is a business litigation attorney at Frost Brown Todd LLC, where he also practices with the industrial hemp service team. As part of his practice, Nolan advises hemp clients on myriad issues, including risk mitigation under federal, state, and local laws and regulations. He has analyzed hemp-related business activities, including import and export, under the laws of all fifty states and U.S. federal territories. Nolan has also successfully defended hemp clients before regulatory and law enforcement officials and conducted trainings on legally marketing and selling hemp-derived products, including CBD oil. With critical work experience at all levels of government, Nolan has navigated the interplay between federal and state hemp laws and policies. Additionally, among other written works, Nolan co-authored a comprehensive legal survey of hemp law for the Journal of Animal and Environmental Law of the University of Louisville Brandeis School of Law.